Card Player’s 2017 WSOP coverage is sponsored by BetOnline Poker. 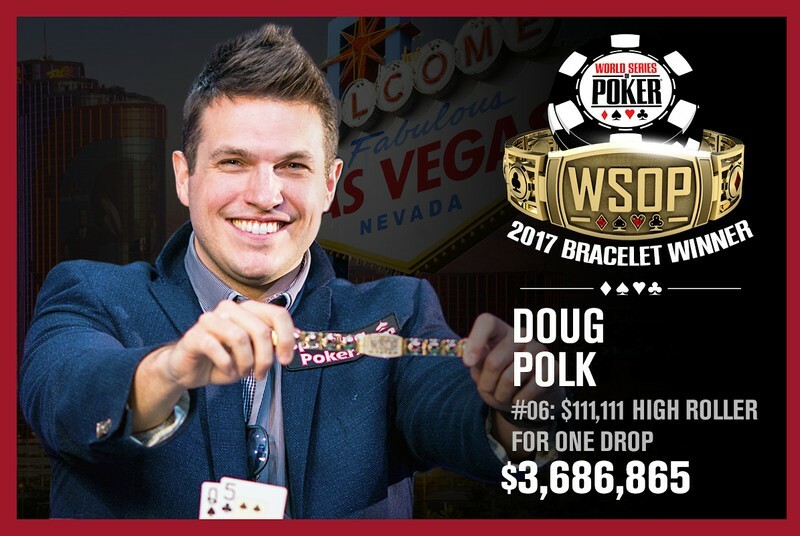 Doug Polk is many things. 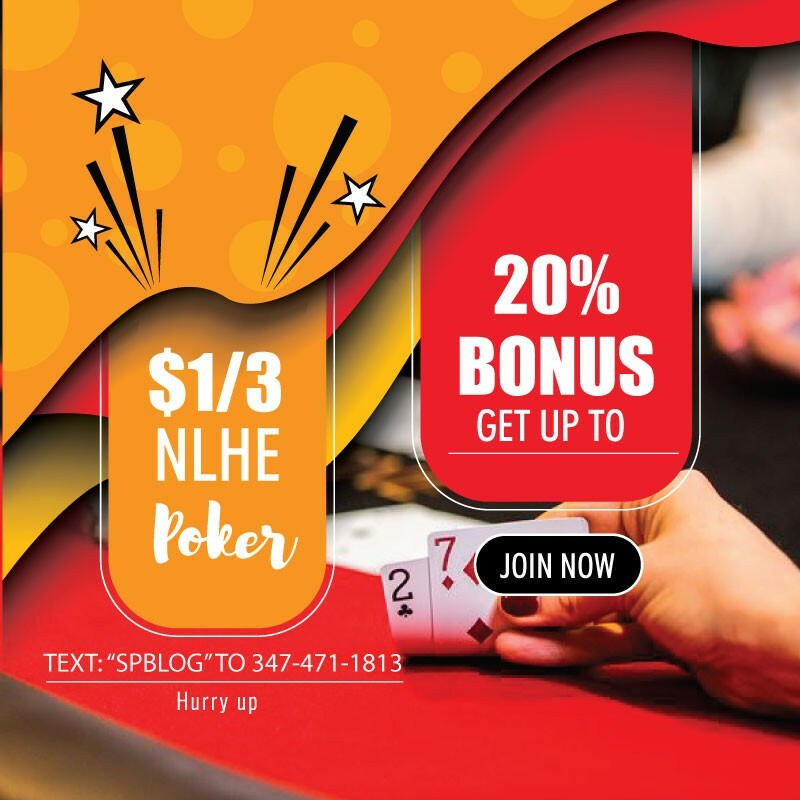 He is a high-stakes poker pro and poker coach at Upswing Poker. He is a popular social media, YouTube and live-streaming personality. And now he is a three-time World Series of Poker gold bracelet winner. Polk topped an elite field of 130 entries in the 2017 $111,111 buy-in High Roller for One Drop to secure his third WSOP title and the top prize of $3,686,865. The strong turnout for this event built a $13,722,150 prize pool that was distributed amongst the top 20 finishers. The event also raised over $500,000 for the One Drop initiative which seeks to help provide access to safe water for the less fortunate around the world. Polk entered the final day in sixth chip position with nine players remaining, each of them already guaranteed at least a $312,006 payday. As you would expect from an event of this caliber, the final table was stacked with top tournament talent. The final nine had combined live tournament earnings in excess of $51.4 million and included the likes of 2016 Super High Roller Bowl champion Rainer Kempe, 2014 WSOP main event champion Martin Jacobson and poker triple crown winner Bertrand ‘ElkY’ Grospellier, who held nearly twice as many chips as his next opponent coming into the final day. The stacks were relatively shallow during this final table, and that lead to plenty of swings as action became short-handed. During five-handed play the tournament was halted for a while due to player concerns regarding markings found on the cards. Afterward Polk said that he didn’t think that any of his fellow competetors at the final table had made the markings on purpose. Once the tournament staff had replaced the cards in question play resumed and the action really took off. Grospellier had recently lost the chip lead but regained it by eliminating Chris Moore (5th – $852,885) and then winning a big pot off of Haralabos Voulgaris. Shortly afterward Polk doubled through Dario Sammartino to shoot near the top of the leaderboard. He took the lead outright when he eliminated Voulgaris (4th – $1,158,883) holding pocket aces. Polk then took out Sammartino (3rd – $1,608,295) to set up a heads-up showdown with Grospellier. The two weren’t only playing for the gold bracelet and the roughly $1.4 million difference in prize money between first and second place. They also made a side bet that whoever lost would have to adopt their opponent’s signature hair style. Polk is well known for his faux-hawk while Elky has a platinum blonde dye job. Polk began with roughly 4-to-3 lead, which he quickly extended in an early clash. Polk raised to 1,900,000 with blinds of 400,000-800,000 with an ante of 100,000 and Grospellier called. and Grospellier checked. Polk checked as well and revealed Q-J for a rivered two pair. Grospellier had out flopped him with J-10, but Polk had caught up on the river to make a better two pair. With that he took more than a 5-to-1 lead and never looked back. Only a few hands later Grospellier was eliminated in second place, falling just short of capturing his second WSOP title. For his deep run he earned $2,278,657. WATCH: YOU’VE GOT TO SEE MIKE SEXTON’S SOLO DANCE MOVES!